To celebrate the 15th anniversary in Vista’s history, we are bringing you a spotlight of someone who started his or her employment with the organization across each of the 15 years. Garrett attended Clarion University where he received his Early Childhood and Elementary Education certification. Upon graduation in 2012, Garrett spent some time searching for a teaching position, but was unable to find a position that was right for him. One day, he was chatting with a friend who worked at The Vista School, and his friend encouraged him to apply. Garrett then applied for the Behavior Technician position at Vista and was hired in August 2012. Garrett met his now wife through the onboarding process at Vista! Garrett and his wife were married in May of 2015. Garrett has had the ability to hold a few different positions since his time began at Vista. Starting as a Behavior Technician in the elementary school, Garrett was then chosen for an Educational Behavioral Support (EBS) position with a high school student. Upon completion of that assignment, Garrett then became an EBS for a student in the elementary school. While Garrett loved his assignment as an EBS, Garrett still hoped for the opportunity to be a teacher. 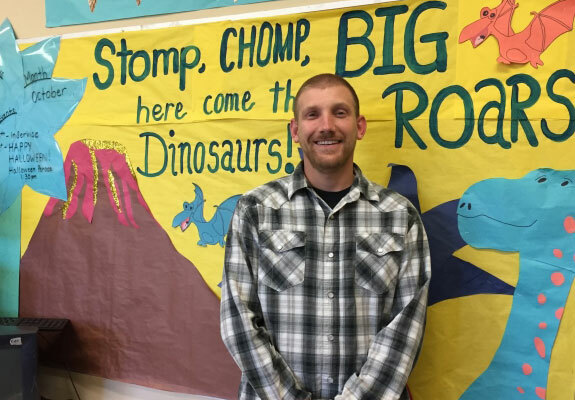 Just as he began to look outside of Vista for a teaching role, he was offered a Special Education Teacher position in July of 2015. Garrett now attends Shippensburg University for his master’s degree in Special Education.